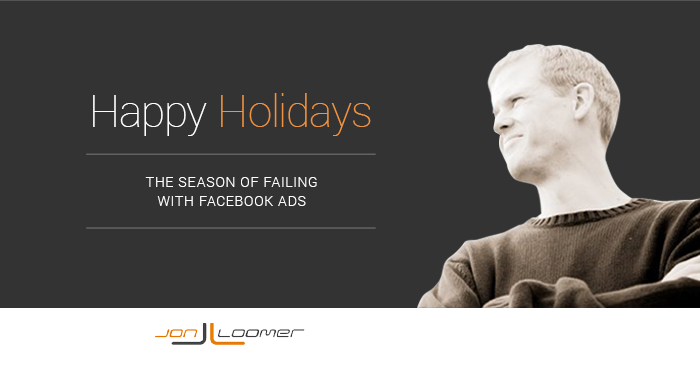 Facebook presents enormous opportunities for brands during the holidays. This time more than any other, people are in the mood to spend money. Through Facebook ads, the best — and worst — deals can be delivered to them. 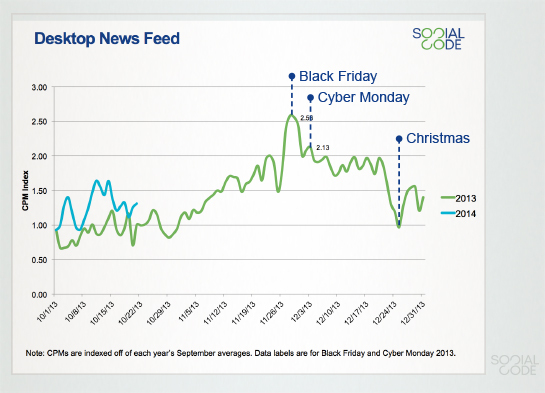 As a result, advertisers flock to the social network during November and December. They dump piles of money into it, hoping to cash in. Truth is that the deck is stacked against many of these advertisers. They’ll fail and assume it doesn’t work without realizing that they are part of the problem. In this post, I’m going to break down why failure is even more likely during this period of time and what advertisers should be doing to succeed. Are brands prepared to succeed this holiday season, or are they blindly dumping money into Facebook? So, you wanna sell your widget during the holidays? Good luck. So does everyone else. I’m sure you think that your 10% off deal is awesome and that it’s impossible to ignore. But you’re competing with an endless supply of brands who want to reach those same users. They are offering better products that are more relevant to them and at better prices. That ignores the fact that people simply aren’t on Facebook to buy something. They do sometimes. They have to be in the right mood. They have to trust you. But success of “Buy! Buy! Buy!” will be limited to those who are most creative, who target the right people and use the right messaging. Most advertisers don’t realize this, but the price you pay for Facebook ads is largely determined by competition. No, Facebook isn’t sitting there at a dial with an evil grin, raising the price on you as they feel fit. Facebook limits ad inventory so that a user’s news feed is more stories than ads. And Facebook limits the amount of content they see every day to be sure that it’s as engaging as possible. With ad inventory limited, advertisers bid for eyeballs and clicks. Research from SocialCode shows that CPM prices in 2013 peaked on Black Friday, with a CPM Index of 2.58. In other words, it was costing advertisers 2.58X more to have an ad shown 1,000 times on that day than on the average day in 2013. As you can see from that graphic above, the rise in CPM Index is happening faster and sooner this holiday season, so we can expect much of the same — or worse. Last year, the CPM Index was regularly around 2.0 last December. So you can expect to pay at least double to reach someone than you normally would. This is going to result in a ton of failure. If you otherwise skate by with positive ROI when it cost you $5 to reach 1,000 people, it’s now going to cost $10 to reach that same group. Some will continue to profit. But others will fail miserably. The fact that it costs twice as much to run Facebook ads during this time is certainly important. But this point may be even bigger. Many of the advertisers throwing money at Facebook right now were invisible on the social network for 10 months of the year. Now they’ve decided it’s time to hit some quotas and sell product. The problem is that many are then targeting blindly. They don’t have an audience they’ve nurtured, so they’re running ads targeted at people broadly. No or minimal trust was built ahead of time. Fans convert. Website visitors convert. If you aren’t targeting the right people — and many of those who join the crowd during this time won’t be — you’re more likely to reach people unwilling to click your ads. If you weren’t advertising year-around, this is a really bad time to get your feet wet. Even if you advertised last holiday season, so much has changed since then. Too many advertisers jump in by targeting people based on interests. Too many advertisers jump in by using CPC only. Too many advertisers jump in without being able to properly monitor success. Too many advertisers jump in having no freaking clue what they’re doing. You should be targeting your fans, assuming they’re an engaged and relevant group. You should be targeting your website visitors. These two groups will provide most of your sales. If you don’t know what you’re doing, don’t bother with CPC. Allow Facebook to optimize for the conversion for you. Chances are good that if you don’t know what you’re doing, you aren’t using conversion tracking when you sell. So instead, your measure of success is based on fuzzy metrics like clicks, cost per click and CPM. Good luck with that. A higher percentage of advertisers getting involved right now are doing so because they think they need to. As a result, many will completely screw it up. Your biggest mistake was assuming you could have a two-month fling with Facebook ads and get any kind of results. The odds are stacked against you. Instead, you should spend the entire year building a highly engaged — and relevant — community. They know you. They trust you. They’re used to seeing you on Facebook. These people are most likely to buy. You should spend the year driving traffic to your website. Those who visit your website once are likely to return — but reengaging them is important. By spending money to drive website traffic, this also builds an audience you can remarket to later to build your fan base, increase your email list and sell. You should spend the year building your email list. Use offers and private groups as carrots to collect email addresses. Email these people throughout the year. When your big sales push comes during the holidays, you’ll be emailing as well as reaching them with Facebook ads. You should spend the year failing and learning. The holiday season is not the time to figure out what works. If you’re going to dedicate a chunk of your annual ad budget now, you sure as hell better know what group of people you’re targeting, with what message that works best and with the most effective bidding methods. Facebook advertising is a commitment. To truly succeed, you need to do more than get your feet wet. 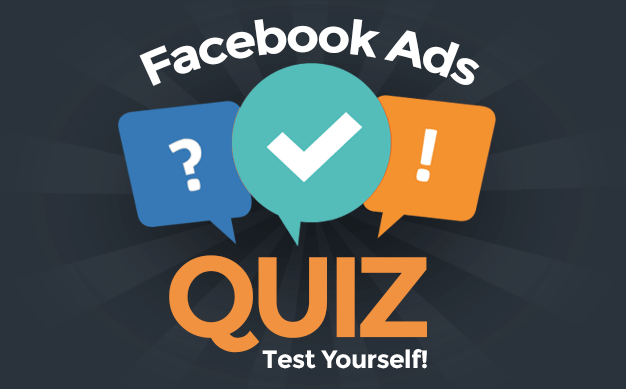 Are you advertising on Facebook this holiday season? What approach are you taking?